About.com is one of the largest online premium publishers of expert-created content. As of January 2015 they boast 83.6 million US users a month, and another 92.5 million monthly users internationally. About.com’s 1,000 experts contribute more than 6,500 pieces of content a month, helping readers answer questions, solve problems, learn something new, and find inspiration. To provide a better, more modern experience for their readers (helping them get the answers they’re looking for), About.com recently underwent a major redesign, rewriting “almost every line of computer code.” As part of their redesign, they turned to Fastly for a modern, flexible CDN that would match the ethos of the new About.com. Fastly allows them to make and push configuration changes in real time, giving them more control over how site content is served and improving performance across their global user base. 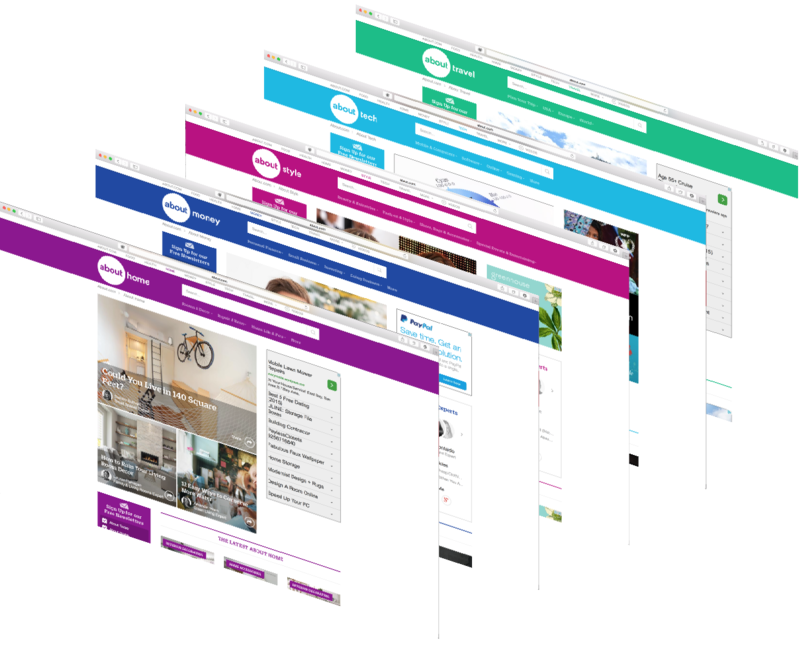 This redesign has helped to reinstate them as a site that people rely on; About.com is now delivering a modern internet experience, using data to help people get answers. Before Fastly, About.com’s team had never seriously considered using a CDN because prior experience with legacy providers had led them to believe that any configuration changes would take at least 15-30 minutes to go into effect, which was much too slow for their needs. With Fastly, About.com can make and deploy config changes that take effect in under 5 seconds, giving them the control required to integrate a CDN with their application. When something happens (such as a data center being taken offline), Fastly empowers About.com to react in real time, reconfiguring their CDN as necessary. Although they have three data centers, About.com has architected their site so that their entire backend can be served from one data center in the event of an outage or scheduled maintenance. Because Fastly has significantly cut down on the amount of traffic received by their origin, they could now consider scaling down their data centers, reducing infrastructure capex. One of the many reasons About.com avoided legacy CDN providers was due to the support — they were wary of being handed off to lower-level support staff about issues they knew needed to be escalated. With Fastly, they are able to get their questions resolved quickly by their knowledgeable support engineers via IRC.